Time: 10:30am UTC. Click here to see your local time conversion. Duration 1.5 hours. Attendance is free of charge. Please Click Here to register your participation. Christine Milne is the current Global Greens Ambassador since 2015, former Leader of the Australian Greens 2012-2015, former Leader of the Tasmanian Greens from 1993-1998, first woman to lead a political party in the Tasmanian Parliament (1993), and is a campaigner for strong action to address global warming. Christine speaks to us about her autobiography An Activist Life which describes the ups and downs of how politics actually works and the valuable lessons learned by both the Green Party and herself by being part of building the party in 1972, contesting elections, being in parliament, being in a government coalition and all the while evolving from each experience. "Thinking and acting locally and globally at the same time" was Christine's call to action for Global Greens in her Greens2017 speech, and in this webinar Christine discusses with us what that means in practice. Robinah K. Nanyunja is the first female 1st Vice President of the African Greens Federation through which she aims to strengthen Green politics on the African continent and member parties in particular. During the 2016 national elections in Uganda, Robinah contested as a Member of Parliament for Kawempe North and achieved the second place in the elections. Robinah chose to embrace green politics and political leadership to be able to improve people's welfare through a democratic political approach. Between 2010-2013 Robinah served as a Vice President of Ecological Party of Uganda (EPU), where she facilitated the development of results-oriented mechanisms and governance structures to enhance the party's practice of participatory democracy where she is proud to have supported the establishment of the party's Youth league, Women league, Entrepreneurship league, Aged and Disabled league, Workers league among others. 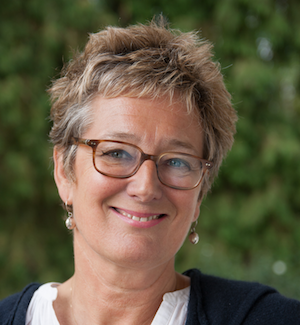 Evelyne Huytebroeck is a member of the Global Greens Coordination on behalf of the European Green Party, and since 2012 has served as a member of the Brussels Parliament and local councillor in the Brussels commune of Forest. Evelyne is the former the regional minister of environment, energy, city renovation and social affairs in the Brussels Parliament 2004-2014 in which she formed a government made of 5 Ministers from 5 different parties! Flor de María Hurtado is Vice President of Alternativa Verde, the Green Alternative Party of Peru. She has served as Councilor - Green Regent of the Province of Maynas 2003-2006, Advisor to the Presidency of the National Environment Council 2006-2007, Executive Director of the Institute De Ecología Política 2010-2017, and Director of the Television Program "Voz Verde" in the Peruvian Amazon 2003-2006. Flor is a licensed constitutional lawyer, through which she defends Human Rights, environmental law, women and native communities in Peru. Christine Milne will speak about what makes Green politics important, especially when in coalition. Afterwards, Christine will facilitate a discussion among the speakers about lessons learned from their experience in coalitions. Audience members will be invited to join the discussion to reflect together on what it actually means for Green parties to think and act locally and globally at the same time.